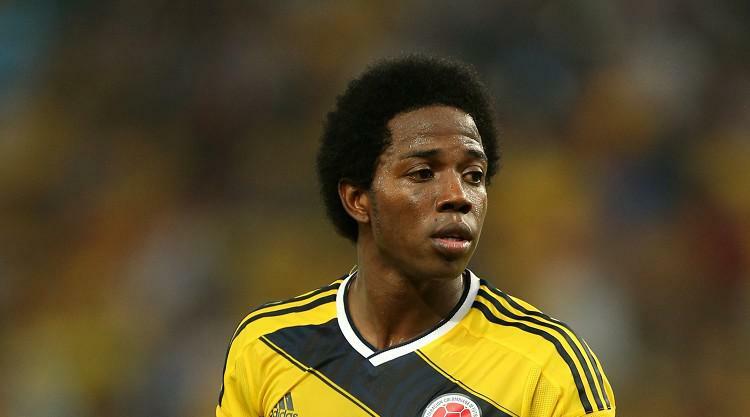 Carlos Sanchez believes Roy Keane can help turn him into a Barclays Premier League force with Aston Villa. The midfielder has signed a four-year contract at the claret and blues after making the switch from Spanish side Elche and could make his Premier League debut at home to Newcastle on Saturday. Sanchez, who has 44 international caps, impressed in Colombia's run to the World Cup quarter-finals, where they lost 2-1 to hosts Brazil in July. He started training with his new team-mates on Monday and insisted that working with Villa number two and former Manchester United star Keane will only improve him. "Yes of course. He was a big player and I've seen him play," Sanchez said. "I've always wanted to play in England. I had a few opportunities from other clubs but when I had the opportunity to come here I had no doubts. The most important thing was that the manager wanted me here. "I've got lots of things that I want to do, it's a big club. I'm sure I can progress here. We've got everything - some great players, good technical staff and everything else we need to have a good successful season. We have got a great dressing room." The 28-year-old also revealed former Villa and Colombia striker Juan Pablo Angel and Fulham's Hugo Rodallega convinced him to make the switch to England. He said: "I spoke with Juan Pablo Angel. He said I absolutely had to come and had no doubts. I spoke with Hugo Rodallega, the Fulham player, too, who said I have to come. "I can't really do the same as Juan Pablo because we play in different positions, but he is an inspiration, nonetheless." Sanchez joined Villa following just one season with Primera Division side Elche, who he helped them to avoid relegation by a point as they finished 16th. It followed six years at French side Valenciennes and two years at Uruguayan side River Plate, where he started his career. He is nicknamed The Rock, a tag given to him by the River Plate fans due to his physical edge. Sanchez added: "It began in Uruguay when I started my career. Then I went onto France but where it really picked up was in Spain. With the World Cup and everything I am known as The Rock now."